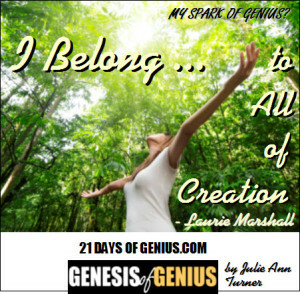 14.4 I Belong to All of Creation. One fig has 1000 seeds. The fig tree in my back yard has 1000 figs. I belong to my fig tree in all its abundance. I belong to 7 billion human beings. I belong to earth, air, water and fire. I belong to 3.2 trillion stars. I have my work to do. visions, ideas, possibilities that rise up. The revelations are sent by Creation. I pay attention - humble, scared, excited. "What if the whole world made a painting together?" I knew this vision was mine to manifest. It was too big. Who was I to take on something so ambitious, so impossible? so large groups of people could envision solutions to challenges through co-creation. made by 15,000 people from 50 countries. I jumped into the river of Creation. our connection to each other shows up. 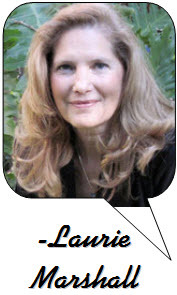 Laurie Marshall is a Teaching Artist with Create Peace Project, a Trainer for Community Matters, a Graphic Facilitator and a holder of space for genius and healing to appear.